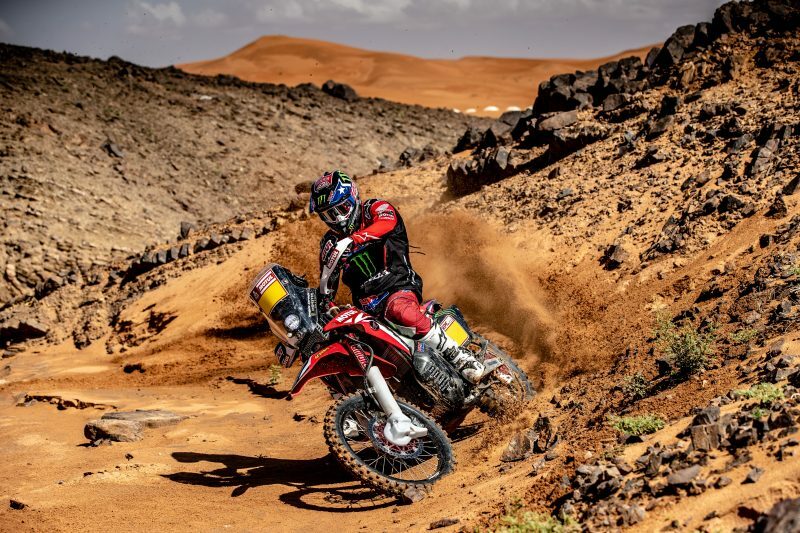 The forthcoming 2019 Dakar will be a very special one for José Ignacio Cornejo. 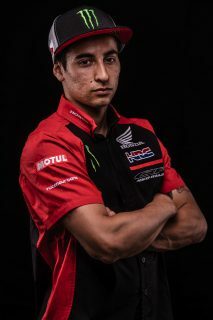 ‘Nacho’ gets to participate in the world’s toughest rally for the first time as an official HRC factory rider with Monster Energy Honda Team, a squad with whom the rider has previously ridden. 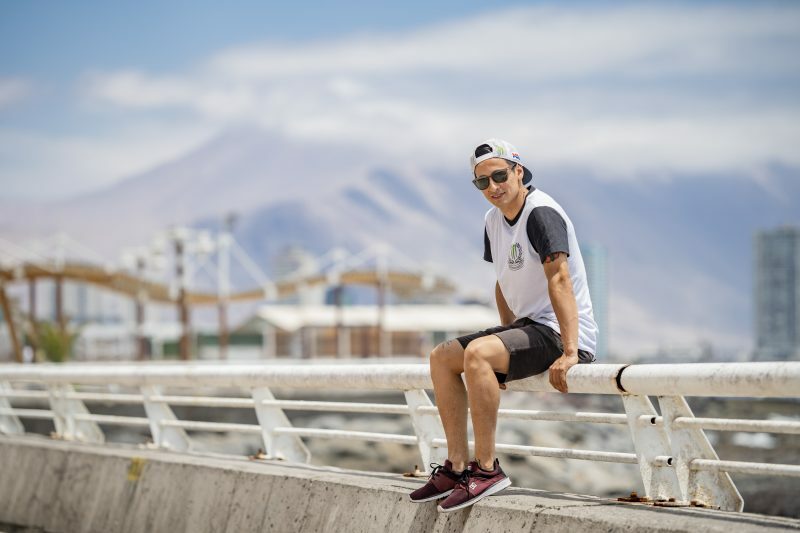 The rally – run in its entirety in the sand and dunes of Peru – features the kind of terrain that the young Chilean will be very familiar with. 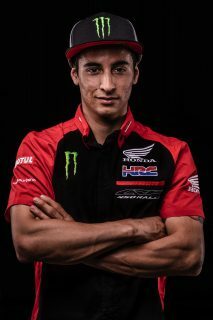 Although Nacho had already competed in last year’s Dakar 2018 with Monster Energy Honda Team, as a last-minute replacement for the injured Paulo Gonçalves, this year he enters as a fully-fledged member of the official HRC squad. But, where did José Ignacio Cornejo suddenly spring from? 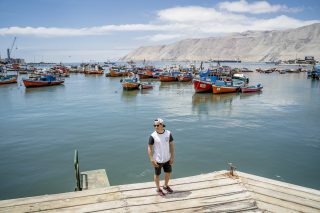 – I’m here thanks to a family, who are, as we say here in South America ‘tuerca’ which means ‘bike nuts’. My grandfather knew how to ride motorbikes; he did not compete, but he did ride well. Here in Iquique there is a lot of desert and it is normal to take the bikes out there. My father also grew up with bikes and competed in local motocross and some national races. My dad promoted rally competition out here in Chile, participated in the 2005 Patagonia-Atacama and went on to work on some rally routes. I grew up in my dad’s motorcycle workshop, where I was also interested in mechanics. I played there, in the workshop, in the midst of motorbikes and gasoline. We always went to the races as spectators, but at eleven I got on a bike and started competing in motocross and I haven’t got off since. I competed first at local level then in national competitions, where I improved and got myself noticed with a second place in the 85cc category. In the higher categories, I was always in the top group. Meanwhile, Yiyo Illanes, who had taught me how to ride motocross, introduced me to navigation. ‘Chaleco’ Lopez, a good friend of the family, used to come to train a lot in our area, and once I accompanied him to help him out with the roadbook. I was 16 years old. 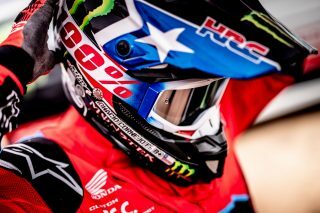 I hadn’t thought of competing in rally because I wanted to be a Chilean motocross champion and that was what I really devoted all my energies to. I started working on roadbooks and it was a great education with ‘Chaleco’. I did some local rallies, just for learning more than anything else. In 2014 I made the leap onto the international stage with the Inca Challenge in Peru with all the GPS systems. I chalked up the best time in the first stage with an enduro bike that Chelo had prepared for me, who is now my mechanic. I beat several other international riders: David Casteu, Pablo Quintanilla… The second day I opened the track; I did not win the stage, but it was a great experience nevertheless because in the end I finished second, some three minutes behind the winner. This result made me decide to take the leap into rally and start 2015 with total commitment: I rode half the world championship and in January 2016 I ran my first Dakar, which I was unable to finish due to a bike problem. That same season I completed my first world championship and clinched the Junior title. In 2017 I finished my first Dakar in 28th overall position. It was a very tough year, because I came from a fairly stable background in motocross, but entering into international rally involved a lot of money to be able to meet all the costs. 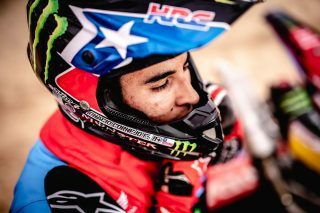 It was difficult because, in spite of some good results, I wasn’t able to find great sponsors in Chile. 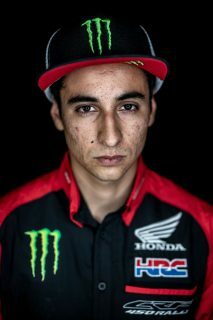 I wanted to compete in a full world championship but the budget didn’t extend to it. I chose two key races to hopefully be able to get myself noticed and find a team: the Atacama Rally and the Baja Inca, on very low budgets. 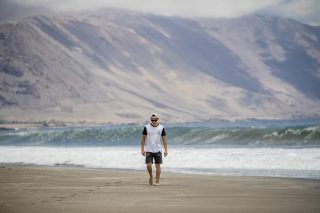 I took part in Atacama and finished runner-up. 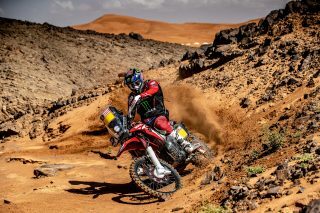 In the Baja Inca I was fast but I had several issues with the bike. Not joining a team meant having to sit out the Dakar. I simply didn’t have the funding. In December opportunity knocked: Paulo Gonçalves got injured and one of the names that came up as a replacement was mine. I kept training hard at home and I think that proved important when I took advantage of HRC’s invitation to stand in for Paulo. 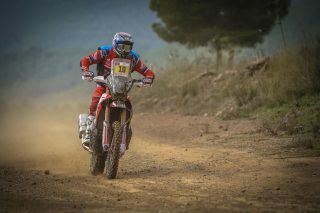 I finished the Dakar tenth overall – my best result so far – but I think I can improve a lot. I am very happy to be with the team for three seasons. – In 2009 the Dakar changed continent. 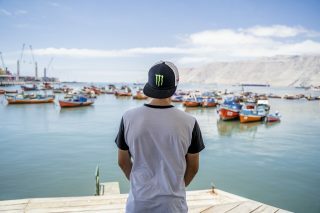 Is the arrival of the Dakar in your continent a key factor for South American motorsport? – Without a shadow of a doubt. 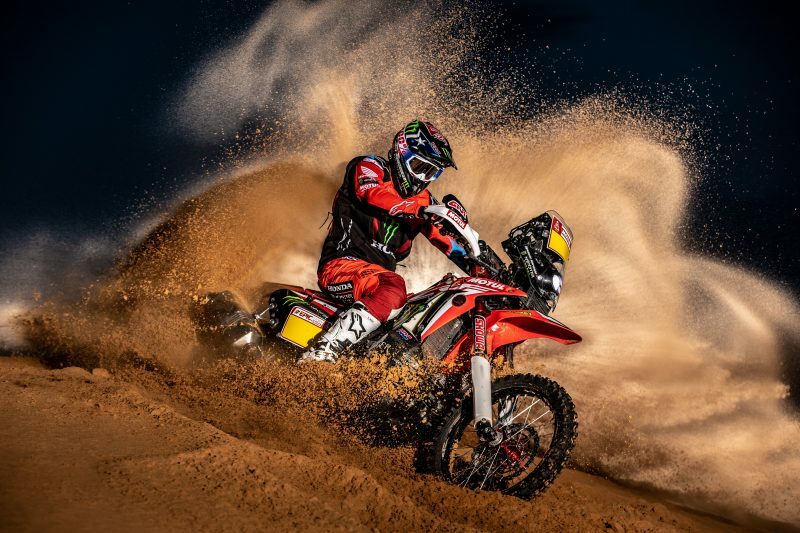 The years that the Dakar was in Chile, the discipline became very well known, with many riders – some of them very good ones – making names for themselves. I was a spectator for many years, watching Chaleco, Gouet, Israel and also Quintanilla. My father worked on the race and I started to get the Dakar bug: get up early, find out how everything worked; all that experience which has also played a key part in deciding to take part. 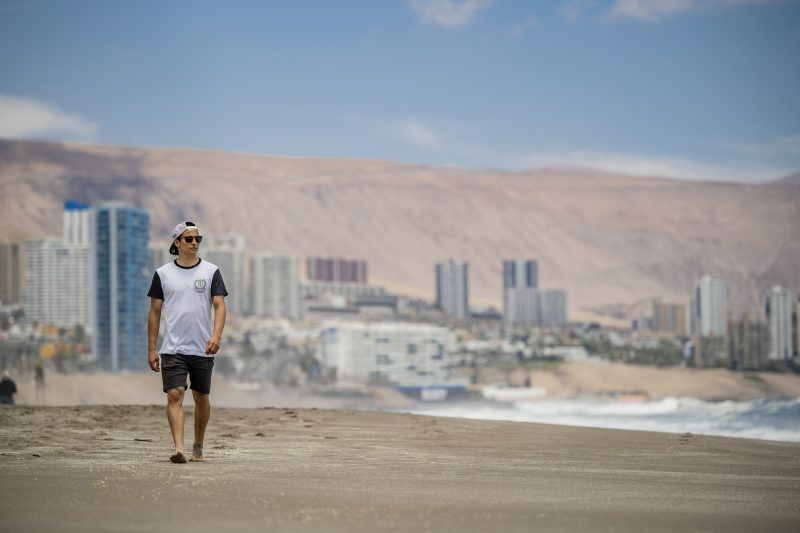 In 2015 the Dakar had three days in Iquique. I was so keen to race on home soil and really give it my best shot! 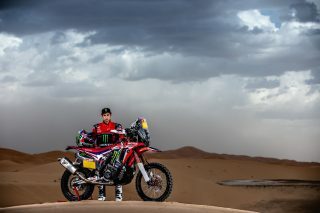 But unfortunately since I decided to enter the rally, Chile hasn’t been included on the route, but I’m still waiting patiently for the Dakar to come home one day! – Dunes, grit … is that your forte? – Yes. 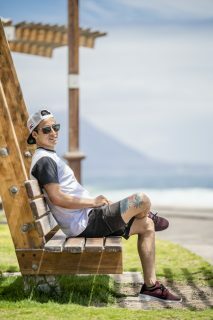 That’s what we’ve got in the Iquique area, which is where I usually train. 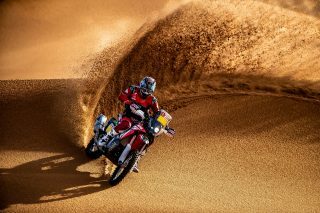 There is also a lot of hard track and open desert with a lot of navigation. – What is your weak spot? 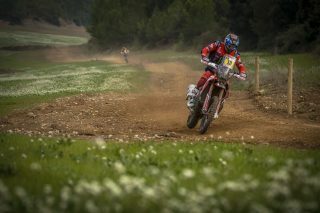 – The mountainous roads, with a lot of stones, and the trial-style areas are not really my forte. I will have to improve a lot in that aspect. Where I live there are practically no trees, so it is difficult to work on these aspects of my riding. 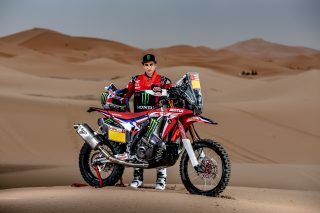 – You entered the Monster Energy Honda Team as official HRC rider after your great Dakar result. How impressive is it to be in the team? – Very impressive indeed! It’s full of great colleagues who are very fast and professional and with an impeccable system of work. 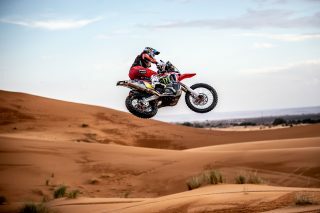 I think the overall result of the most recent Dakar can be improved on this year, as I picked up the bike and I’ve had a whole season to get used to it which is enriching. 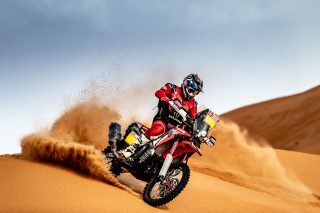 I have adapted to the bike and I feel very motivated for this 2019 Dakar along with all the team. 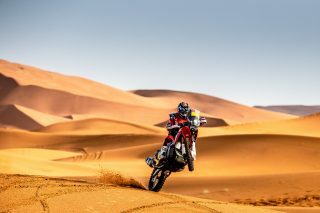 – What would you point out about the Honda CRF450 RALLY? 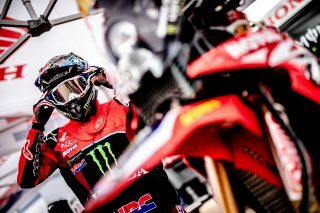 – In the last Dakar I was able to try out “factory” suspensions for the first time, which is a very good point. Over the year we have helped perfect it. The bike has a lot of power and speed. I like the suspension a lot. 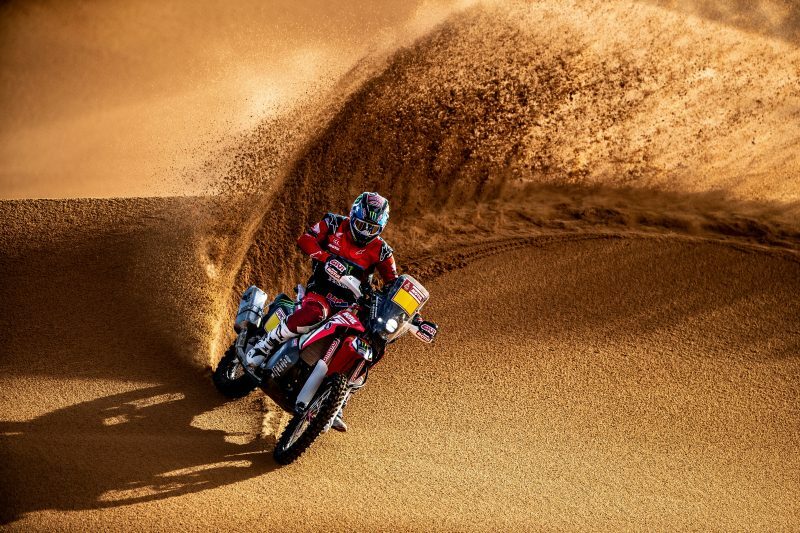 – The Dakar route is entirely in Peru. What do you expect from the race? 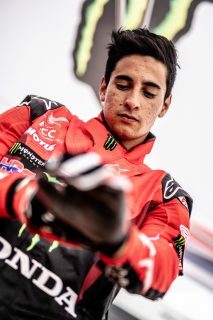 – I hope it will be a similar race to the first part of the last edition and I hope and wish to be able to improve on my tenth overall place in the Dakar 2018. I would like to be in the top five, although I know there are a lot of good riders. But I also like to give myself a challenge.